Founded in 1902, Méo-Camuzet is one of the most celebrated domaines of the Côte d’Or, located in the heart of prestigious Vosne Romanée. 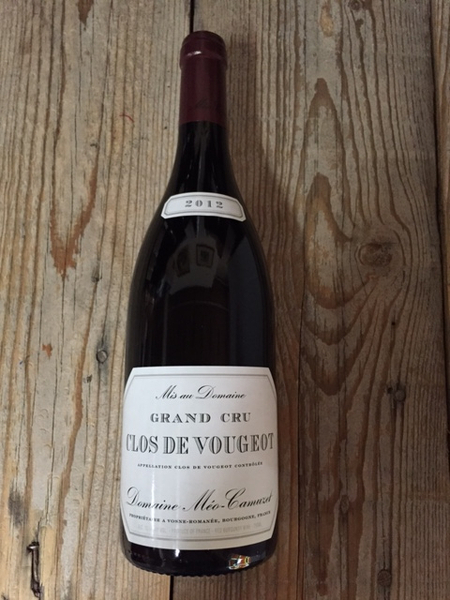 The domaine boasts fourteen hectares of land in some of the most spectacular appellations and crus of Burgundy. All the vineyard land in Burgundy is highly parceled out among families, which make it rare for anyone to have enough vines to be able to bottle one grand cru, let alone the four that the Méos have. The early beginnings of the domaine left it in the hands of métayeurs, or sharecroppers. The last twenty years have brought substantial changes that have fostered a new chapter for the Méo family. Currently run by Jean-Nicolas, it was his turn to take the helm of the family domaine in 1985. In lieu of continuing to rent out their highly pedigreed vineyards, he made the bold decision to slowly start reclaiming the land for the domaine’s own bottlings. He called upon the resident expert, one of Burgundy’s greatest winemakers of all time, Henri Jayer, for guidance. Henri had spent over forty years farming parcels from Méo-Camuzet under his own label, while enjoying celebrity status in the Kermit Lynch Wine Merchant portfolio. For three years he mentored Jean-Nicolas during the transition and finally decided to retire in 1988. Though Jayer passed away in 2006, his legacy endures to this day.